Manitoba farmers grapple with impacts and legality of municipal herbicide use. Full story here. presenting the greatest danger to the environment,... our water sources, the food we grow, and yes, even our human health? The weeds,? of course not. It's the poison that the Province allows and permits the Municipalities to spray in the public ditches. Thanks Larry Powell. People need to know the ugly history. I once heard weeds defined as "plants growing where somebody doesn't want them", a definition that obviously covers a lot of ground. The weed control authorities tend to treat all the species on their list as equally bad and this needs to be challenged. I don't know about Manitoba but I can give examples from Ontario. Our list here includes both Giant Hogweed (Heracleum mantegazzianum) and Queen Anne's Lace (Daucas carota). Hogweed is poisonous to the point of being dangerous to human health whereas Queen Anne's Lace is an innocuous and rather lovely white wildflower. People who object to toxic herbicide spraying should not only point out the damage to human health but also insist that governments justify why certain plants are listed as "noxious" in the first place. Another point to consider is that, if plant species really do deserve to be "controlled", herbicide spraying isn't necessarily the best or only couse of action. A good example from Ontario would be Purple loosestrife (Lythrum salicaria). 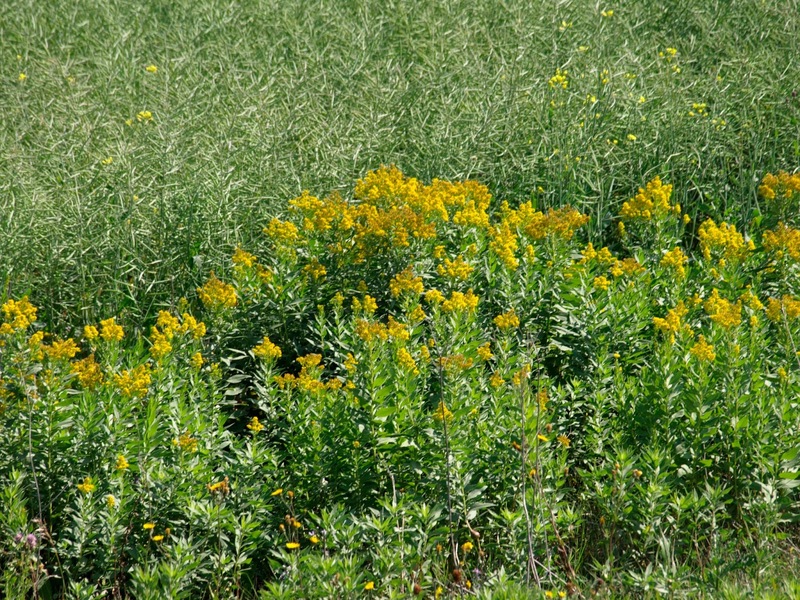 It is an invasive wetland plant that was spreading dramatically some years ago. 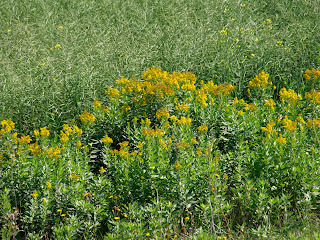 Botanists were very afraid it would take over its habitat and out-compete a range of native plants. However the controlled introduction of 2 species of Galerucella beetles from the plant's native range has succeded in reducing the population to manageable proportions in fairly short order. Poison isn't the only answer. Climate Change and the CNR.